Apply to LEAP’s Project SHINE and Project MUSIC and teach English or music in the Palestinian refugee camps of Lebanon! 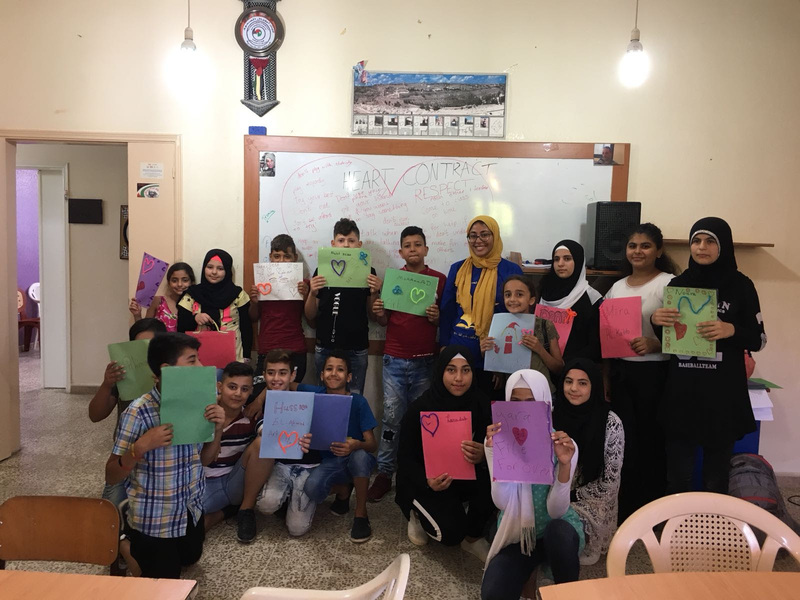 Learning for the Empowerment and Advancement of Palestinians (LEAP) is an educational empowerment program for Palestinian, and more recently Syrian, refugee youth in Lebanon. LEAP is dedicated to nurturing the intellectual growth and creative curiosity young people by encouraging them to become agents of change through supporting them in their educational pursuits during their most formative years. Only one-third of refugee students enrolled in first grade at UNRWA schools complete their high school education. This is partially due to low pass rates on the Brevét, the Lebanese high school entrance exam. The exam is administered in English and Palestinian refugee students, with less access to English education, fail in higher proportion than their Lebanese peers. 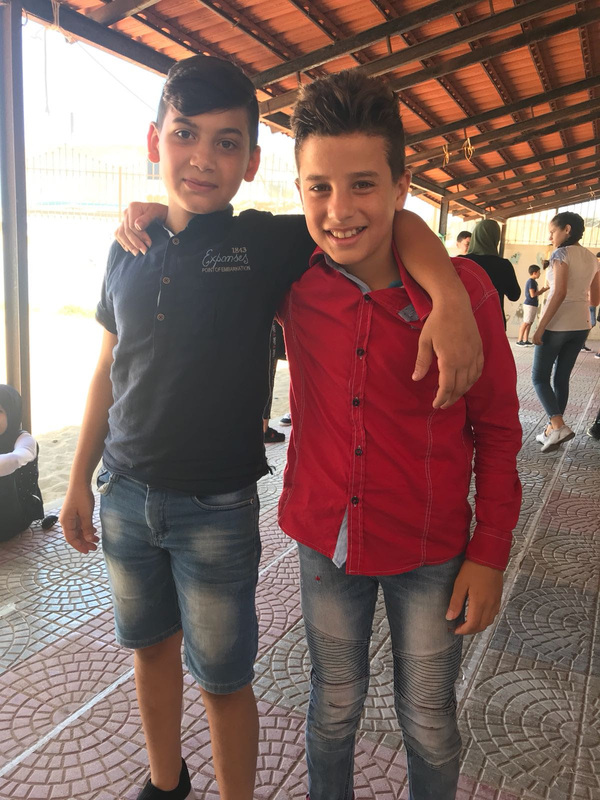 Project SHINE provides an intensive summer English language project to prepare students for the Brevet examination, strengthen their English proficiency, and provide a space for intellectual and recreational activities to change the routine of camp life during the summer. 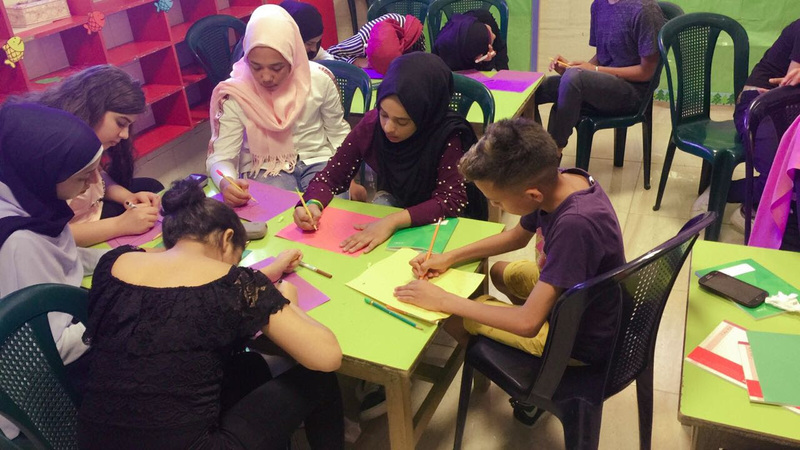 LEAP is recruiting volunteers to provide English language instruction and other recreational enrichment activities (such as theater, dance, film, yoga, and creative writing), while living and working in the refugee camps of Lebanon. Students also get the opportunity to go on weekly field trips, an important way for them to gain new experiences and associate learning with a fun, positive environment. Apply today.. In keeping with LEAP’s mission of supporting the education of refugee youth and raising awareness about their plight, Project MUSIC aims to equip refugee youth with musical instruments and provide music education in the camps, thereby stimulating creative and therapeutic expression to further nurture their psychosocial support and improve their overall well-being. Music is a formidable tool for empowerment. Access to music education in the camps is limited, and LEAP seeks to change this. LEAP volunteers will work to support young musicians in the camp to advance their skills and confidence. LEAP is recruiting volunteers to teach different kinds of music education, based on the talents each candidate brings. These have included: theory, strings, winds, oud, and vocal. Students participate in music classes throughout the week, and also get the opportunity to go on weekly field trips, an important way for them to gain new experiences and associate learning with a fun, positive environment. Apply today.. LEAP volunteers learn about the Palestine refugee reality, particularly in Lebanon, where the situation for Palestinian refugees is dire, and even more so in recent years after the Syria crisis. Volunteers and students share a mutual learning experience. Upon return to their home communities, volunteers are expected to raise awareness about the plight of Palestinian refugees and amplify the voices of refugees through report-backs and information sessions. LEAP seeks dynamic, compassionate, and motivated volunteers who enjoy working with young adults, value the right to quality education, believe in refugee rights, have a passion for social justice, maintain respect and diplomacy in their interactions with people of different backgrounds, and who are capable of working under challenging circumstances. Volunteers must be prepared to work in small classrooms with sporadic electricity, extreme heat, and limited classroom resources. Volunteers must also be able to endure difficult living conditions such as cramped and uncomfortable apartments, as well as extreme heat and discomfort. Most importantly, LEAP volunteers must be culturally sensitive and considerate of local norms. 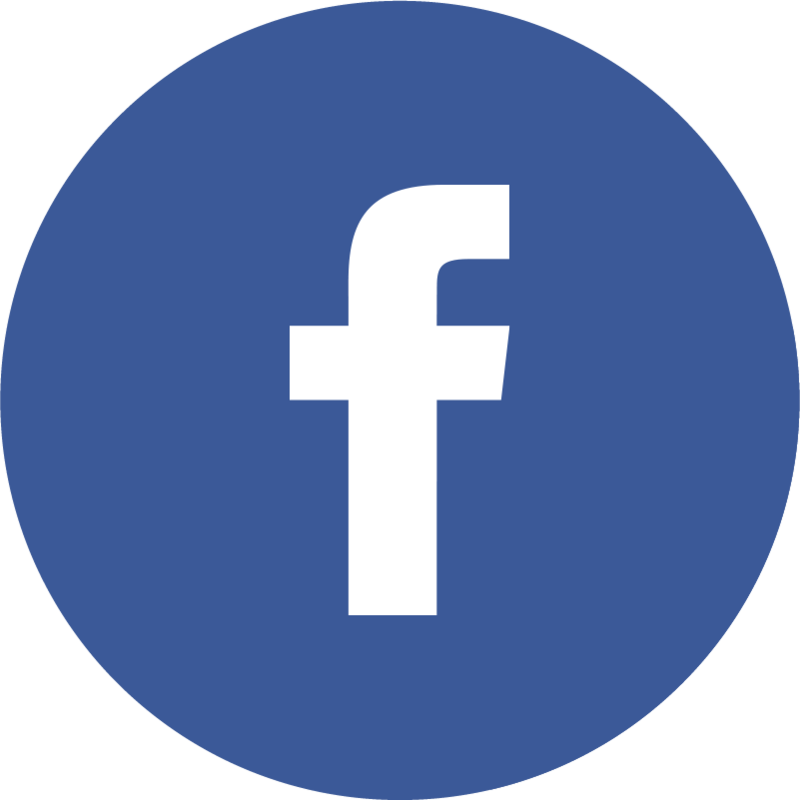 We ask that candidates behave maturely and respectfully at all times during the program as they are both representatives of LEAP and by extension, our partner organizations. Volunteers must demonstrate experience in one or more of the following: work or knowledge of the MENA region, particularly Lebanon; Arabic language skills; teaching English as a new language; work in tutoring, after-school programs, or camps; advocacy work; management and coordination; working abroad; and/or psychosocial support. We strongly encourage interested applicants to apply. This is a unique opportunity to gain an in-depth understanding of the Palestinian refugee reality in Lebanon. The Program has consistently been described as a meaningful, unforgettable experience for youth and volunteers alike, and we hope that you will join our team. To apply to Project SHINE or Project MUSIC, please complete the online application before the deadline on 8 February 2019. Apply today! To learn more, support our projects and/or partner with us, please visit the LEAP website.